The 'Enigma Stone', holding a very special energy within, this is a stone that has a never ending "bible" of solution and wisdom; it is quick to learn and quick to teach, as well as being very beneficial for the mind state. Flourite overall is a stone with a precise and well focused energy. It is a stone that strives to bring organization, stabilise mental health, improve the mind and teach its wisdom. Flourite breaks through negativity and clutter, replacing it with positivism, organization and purity. This stone sharpens the mind and brings forth quick thinking. Flourite helps the being to integrate what is already learnt to that which is to be learnt. 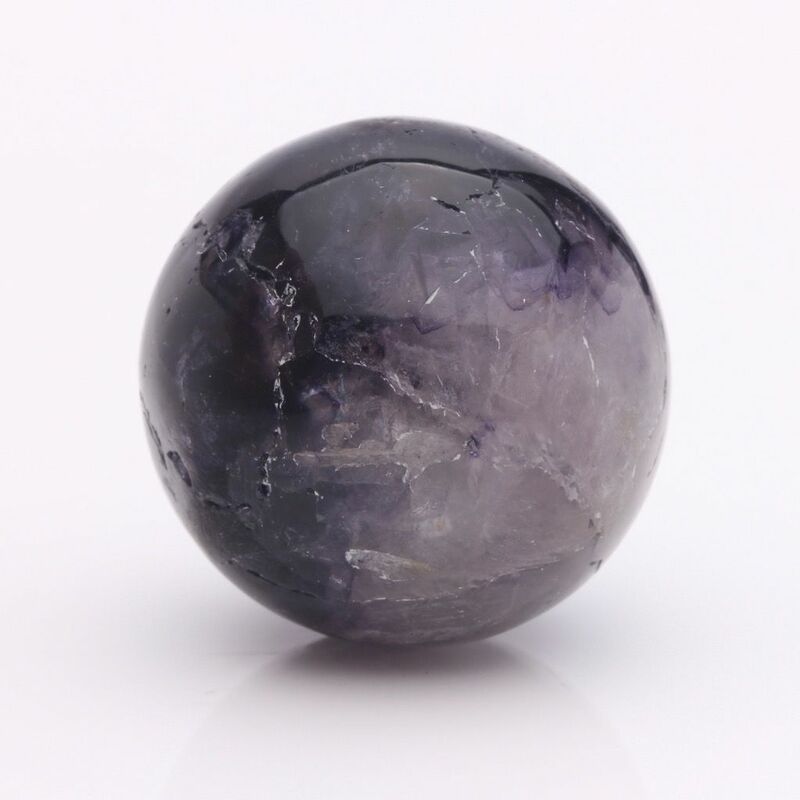 Fluorite’s healing offerings are speedy and precise and range from help for the respiratory system to pain relief. In its different forms, Flourite does have differing offerings, yet its undertones remain the same. Blue John learns wisdom from everything and everyone; it holds so much solution and knowledge, that it seemingly is stone to have a never ending array of teachings that come from a never ending source. It continues to grow and develop, just as the physical and spirit being does. Through all of this, Blue John may never be fully understood, or its list of offerings ever fully known. A stone that can be relied upon when situations arise that seem to have no solution, no understanding. Blue John will bring a sense of deep peace and clarity of the mind, guiding the being towards the light at the end of the tunnel. Also, this is a stone that helps one know where to look for answers and solution, but that also brings teaching and wisdom. A stone to give fair view to both sides of positive and negative to bring forward the best possible outcome. "There must be dark to have light, there must be negative to have positive, everything and everyone has a double side, it is how these are learnt and used that helps direct life’s path"
Blue John can help to stir the correct energy centre at the time of need but without causing imbalance or upset. The main energy centres that are working alongside Blue John are the Third eye and the Crown. This is how the sufficient energy and wisdom is to come through to the being. This is a stone that helps to keep the inner self organized extremely well. Blue John clears up negativity and clutter by cleansing and organizing, this then letting in light and making space for purity and centring. In turn these actions help the being to become more organized on the outside. A stone that also helps the being find a soul sealer, something or someone that brings a resonating energy, a deep comfort like no other, a settlement. Blue John helps the being then integrate this positively into life itself. 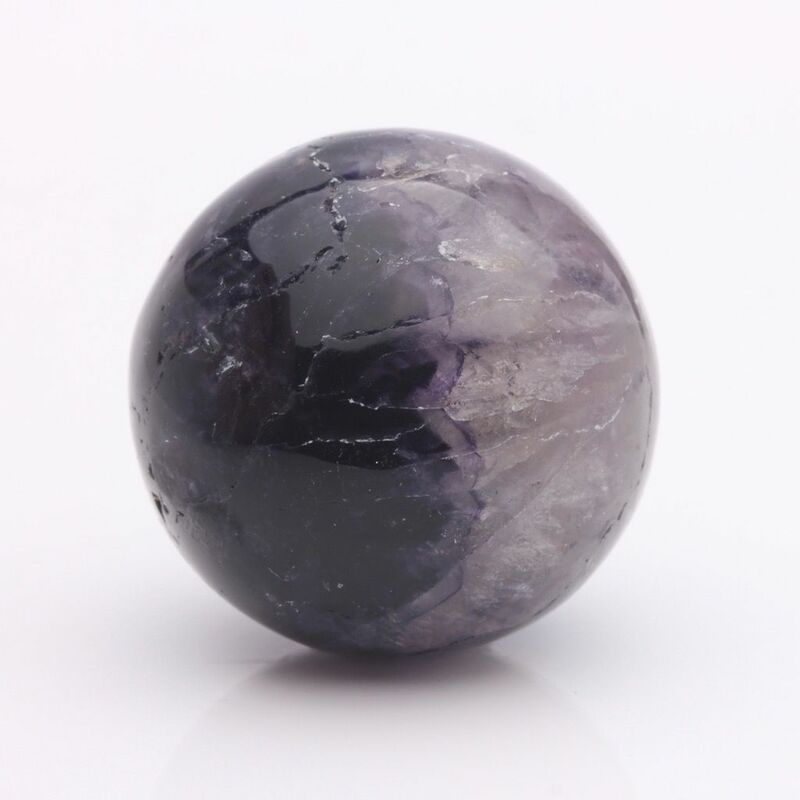 This stone brings encouragement towards creating better stability and structure for both the inner and outer life. Blue John helps the being to see where old ways need to change and where usual belief and idea that has been held in high standard, actually now needs to move on, be let go of and evolve into something better. Blue John sharpens the mind; it helps the being to process and store information on a clearer and faster rate. This stone also helps in putting this information into action where necessary and improves thinking speed. A stone that settles erratic mental health, helping bring to the surface an exact focus area even one by one if needed, that can benefit from healing or organization. This lowers the possibility of having a confusing array of areas to decipher. Blue John helps to ease and treat Asthma, brings healing to the respiratory system after illness or damage, and sooths inflamed sinuses. It can also help alleviate aches and pains, especially nerve pain. This stone also helps the body to fight and clear bacterial infections, loosen and lubricate stiff joints, as well helping the body to hydrate its layers more thoroughly. This hydrating may well bring encouragement to take in more natural fluids, and be especially noticeable with a rise in energy, a clearer mind, improved concentration and healthier more youthful skin. Blue John is here to keep close when all else fails, at times of confusion and seemingly no solution, when it appears there is nowhere to run, hide or turn to for answer. Use this stone as the needed connection, Blue John is a like a divine hand, learning from oneself as oneself shall learn from it, giving teaching, guidance and most of all, a way to the inner home. "Close your eyes and you shall see me, open them and I shall remain, call for me and I am there, walk away and I shall follow. My touch is your touch, my tears are your tears, my laughter is your laughter, you are as I as I am as you, we are as one"